So now step by step I will show you How to unblock website from facebook block list..Then you can able to post website link again ???? then select Contact us via email option from below. 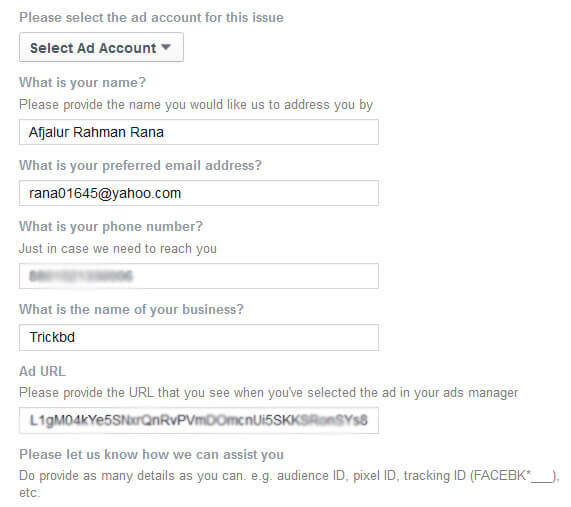 Now you can contact to facebook by email by using your ad manager account.. Which you created in step 1. 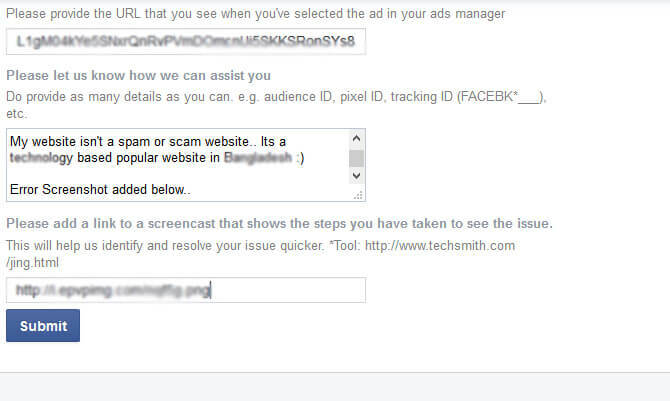 Now you will get some options.. fill them carefully ..
=>And at the last add url option give the link when you post your link and facebook gives you block warning..At the last you will see a link “Let Us know” copy and paste the link at the add url box. So I can’t advertise with facebook..
Now take the screenshot of the error[Which contains you can’t post the link because it has a blocked link] that you get when you try to post the link… Upload it any image hosting.. And give the direct link of the screenshot in the last box.. If you do all the step carefully you will get an instant automatic email in the email which you gave at the step 4.. If you don’t get any instant email there is a problem on your process.. You need to do the same process carefully again . 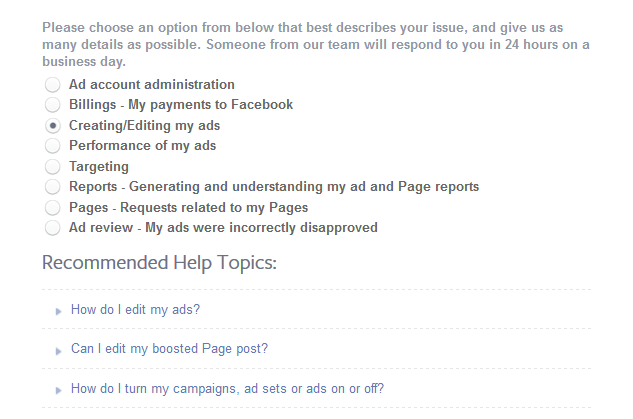 Then wait up to 24 hours.. An expert from facebook team will contact you soon through your email…And if they need further information they will ask you to provide it..And then after checking your website if they found it is now harmful they will unblock your website ..
0 Response to "Did Facebook Block Your Website? 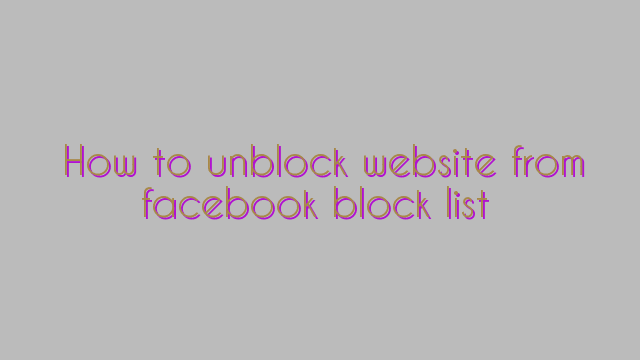 Here is How to unblock website from facebook block list"